A few weeks ago, I went to 3 Days of Fashion at the Fashion Institute of Design and Merchandising. There is a seminar at each of the four FIDM campuses and I went to the one in San Diego. Creating a Promotional Campaign. In this workshop, we were given a product and then were to create concepts for a photo shoot to showcase the product. This kind of thing really isn't my forte so I didn't enjoy this one as much, but it was still fun to give it a try. This one was called Predicting a Trend and it was my favorite by far! We were basically given an hour, some gluesticks and some Vogue magazines and told to create a storyboard of trends popular on the runways. There are actually people out there that get paid to do this. Um dream job much? Draping the Dress. I was really looking forward to this workshop and then found myself disappointed when I felt so uninspired by the fabric and embellishments we had to choose from. It was still fun to experiment though, especially since it was a concept completely backwards to me. I'm so used to working from pattern to mannequin instead of the other way around. On the last day, we traveled to LA and toured the campus there. 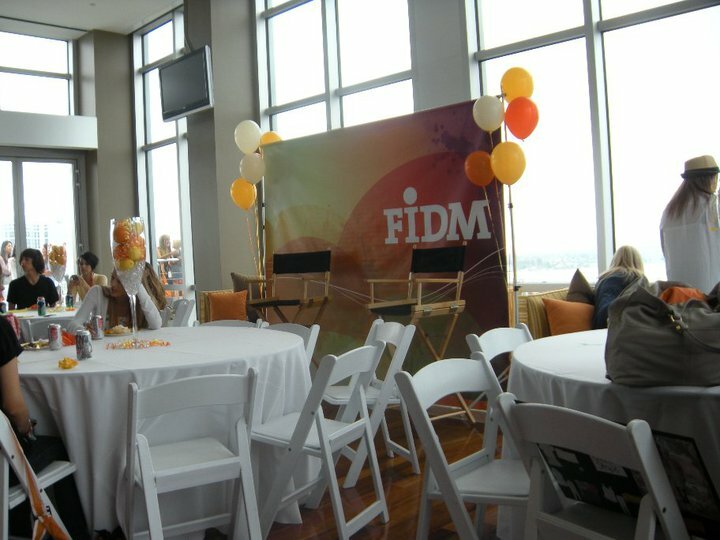 Almost all majors require FIDM students to finish schooling in LA because it's the main campus. While we were there, we toured the Alice in Wonderland costume exhibit which was absolutely incredible. Seriously, the costumes in that movie completely blew me away. We also got to meet Nick Vereos off of Project Runway season two and I can't even tell you how much I freaking loved him. He was so hilarious and his designs were a-mazing! I'm so, so glad I went. I had such a nice time with my mom and got to meet some really nice people. I also really feel like I learned a lot about the fashion industry and loved being able to experience a taste of it.